I feel I have to share my latest experience with you about ear piercing. I have read many articles lately that support the trend to do needle piercing in preference to using the gun method. Needle piercing causes less trauma to the surrounding tissue ,is accurate, swift,and virtually pain free. The additional advantage is that you are able to insert an 18k gold earring immediately. No waiting around for weeks for the healing process to occur with an unsightly piece of metal. 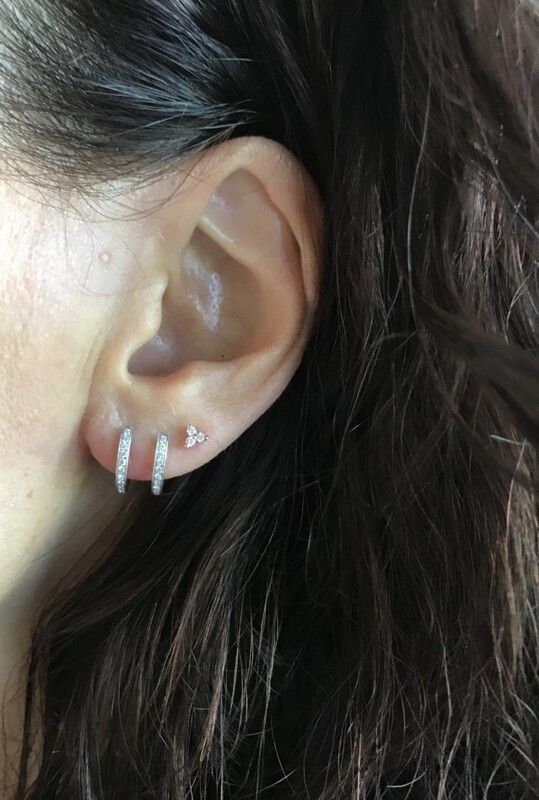 The earring of your choosing can be worn immediately … As with any piercing the area needs to be cared for and kept clean. An added bonus is that the cleansing solutions shouldn’t tarnish your earring. I took the plunge and I am totally in love with the result!